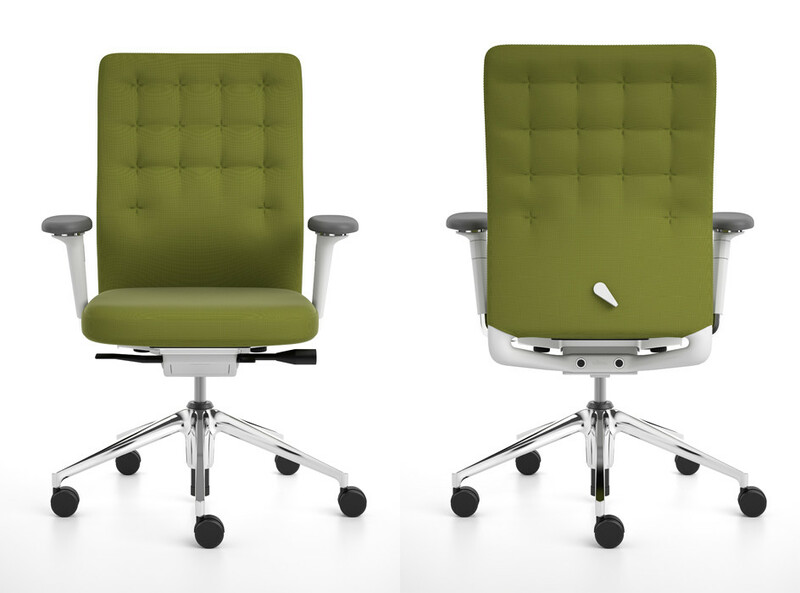 ID Trim Office Chair by Antonio Citterio is one of the many variations in the Vitra ID Concept Chairs range which cater for the individual needs of the employee. 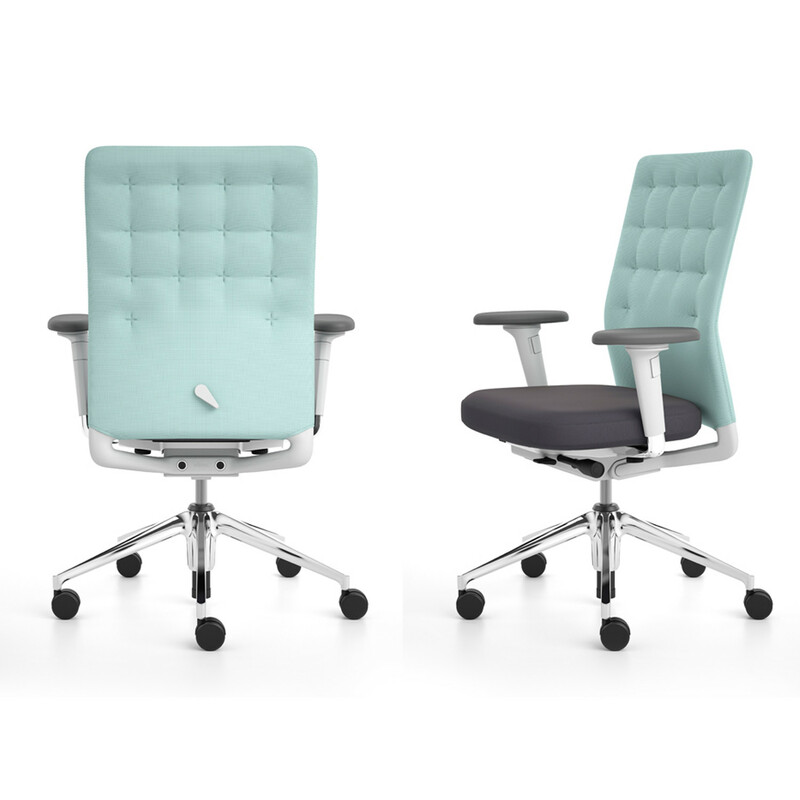 Based on the carefully developed FlowMotion platform mechanism, the ID Concept Swivel Office Chair system provides over a staggering 8,000 options for customisation to suit the user, ultimately encouraging the user towards dynamic sitting, with freedom of movement. Flowmotion offers forward tilt adjusted to each user's weight. 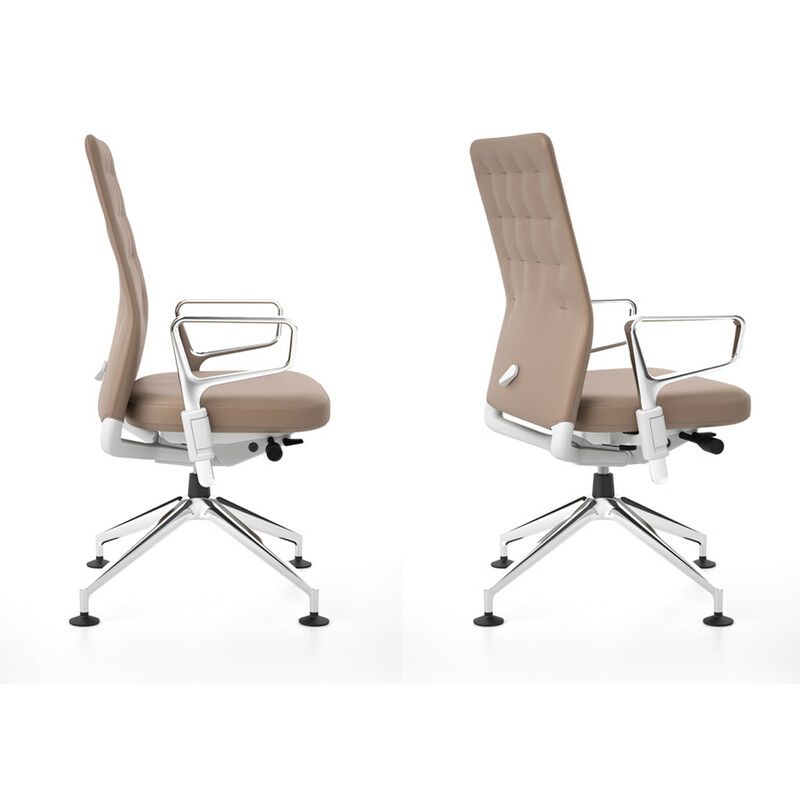 The interplay of the polyamide frame with the multi-chamber padding gives ID Trim Chair's backrest its three-dimensional range of movement. It adapts to the contours of the sitter's body and distributes varying degrees of flexibility and support to the correct zones. 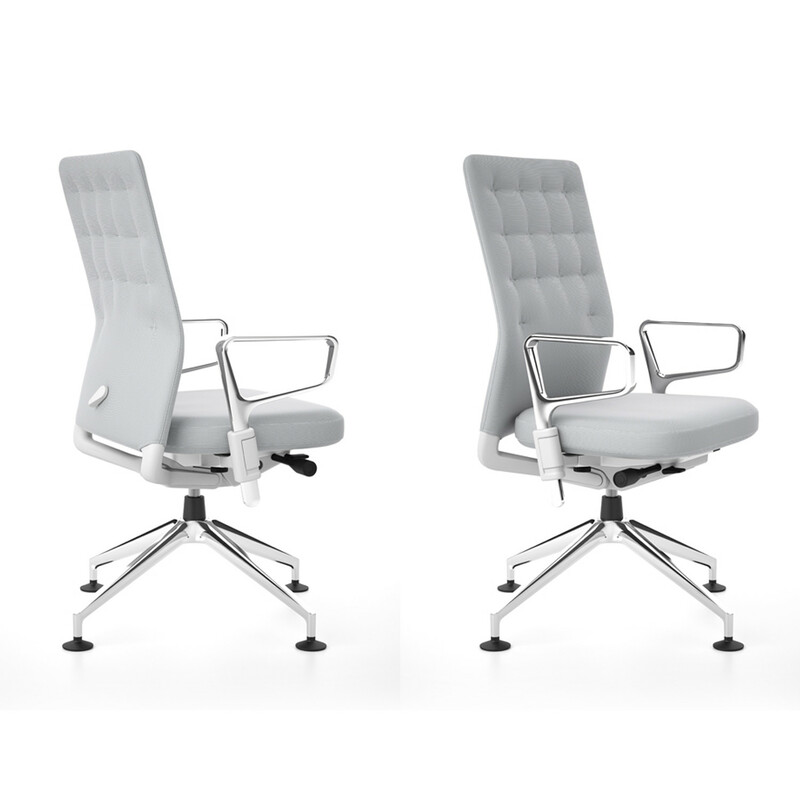 Conveying a sense of quality craftsmanship and classic elegance, ID Trim Swivel Office Chairs marry these fundamentals with advanced ergonomic performance. 1. 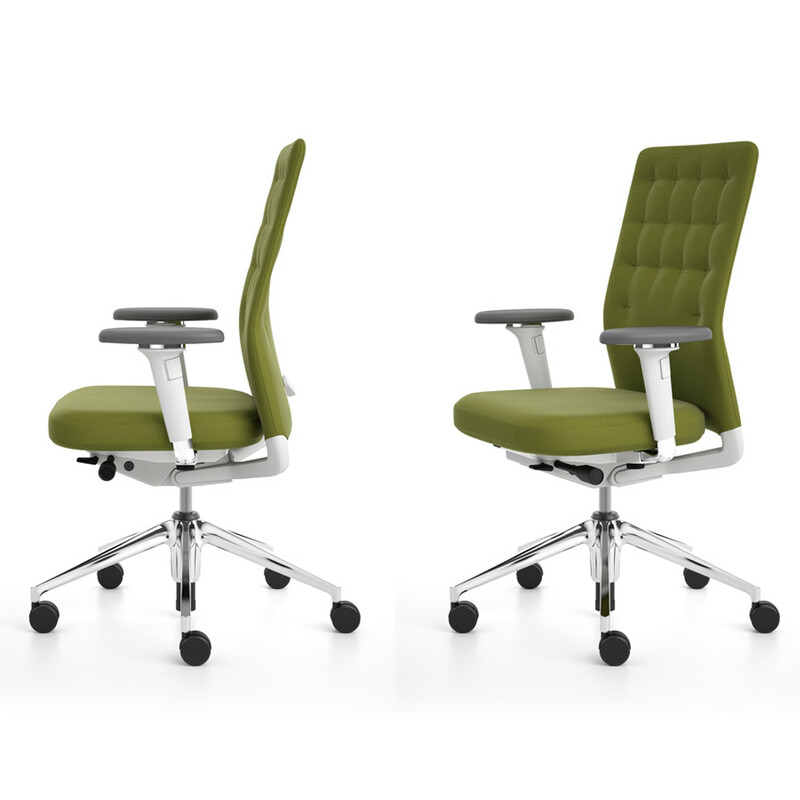 Support in the lumbar zone: integrated lumbar cushion with optional height adjustment for effective support of the lower back. 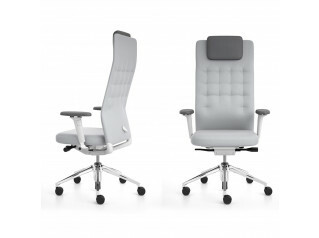 The lumbar cushion transitions smoothly into the flexible middle zone. 2. Flexibility in the thoracic zone: relieves strain in the muscles and spinal discs and maintains the head and shoulders in an upright position. 3. Support in the shoulder zone: keeps the neck from hyperextending so the neck muscles stay relaxed. 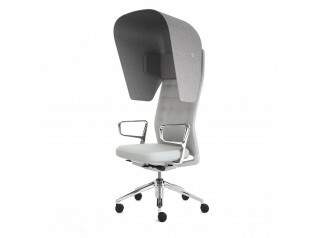 The neck region remains in its natural position, which helps to prevent tension and strain. 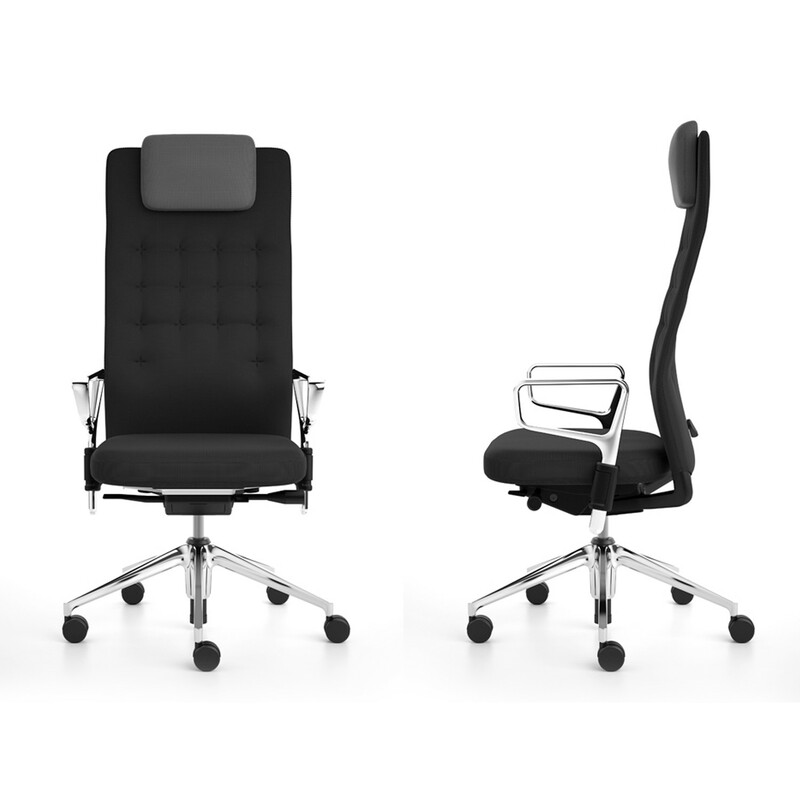 ID Trim Office Chair answers the individual demands for each employee’s tasks whilst promoting active sitting. 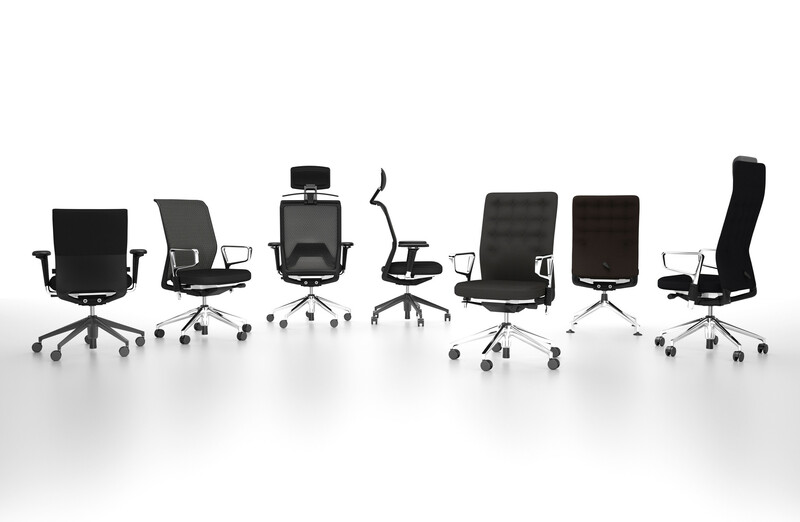 Being individually adjustable to suit specific users, teams or situations in terms of function, comfort and aesthetics, an office swivel chair can have an impact not only on health but also on productivity and physical well-being in the workplace. 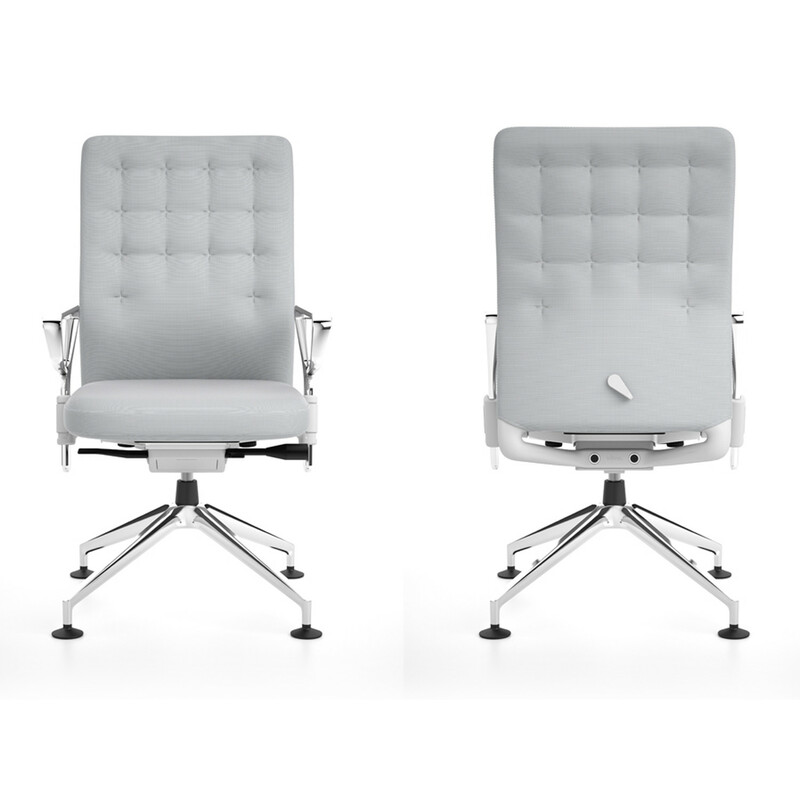 With the ID Chair Concept, these modern office chairs can all be the same in appearance and construction – but with all the benefits as well. 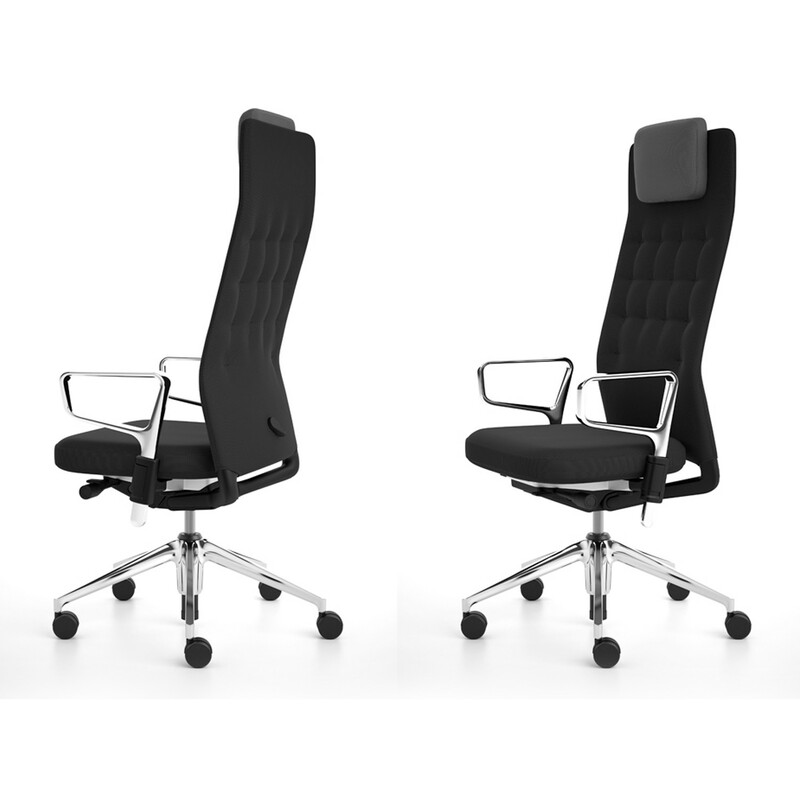 Please see also: ID Trim Cap accessory and ID Trim L Executive Chair from the same range. 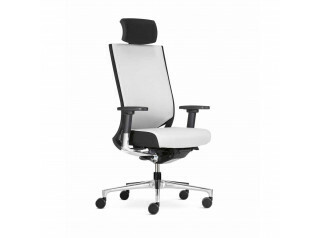 You are requesting a price for the "ID Trim Office Chair"
To create a new project and add "ID Trim Office Chair" to it please click the button below. 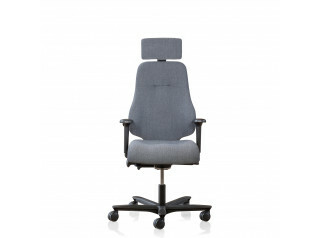 To add "ID Trim Office Chair" to an existing project please select below.